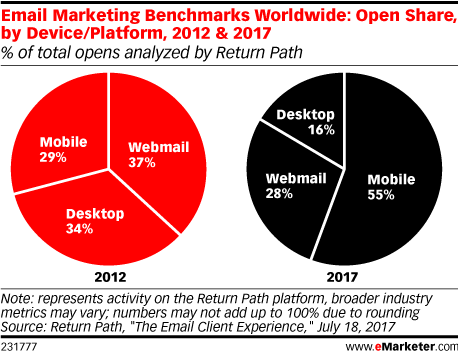 Data is from the July 2017 Return Path report titled "The Email Client Experience." Data is based on 27 billion email opens worldwide during May 2016-April 2017. Return Path is an email solutions platform.